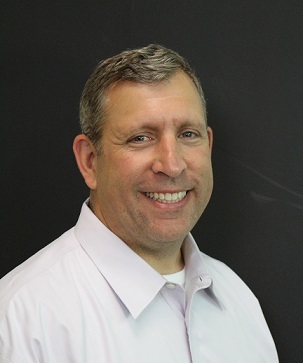 As the Sr. Vice President for Schneider Electric’s Data Center Solutions, part of my role is to deal with companies known as “Internet giants” – Amazon and Facebook, for example. We discuss and collaborate on evolutionary and revolutionary data center technologies for their hyper scale data centers. What’s especially interesting about these companies is how they’re always pushing the envelope, challenging the status quo and questioning long-standing industry traditions. 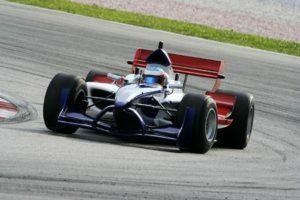 Think about Formula One car racing where car companies try out new technologies in search of the ultimate performance. Did you know the current Formula One cars are electric hybrids? Internet giants are always trying to improve efficiency and performance to lower costs and reduce carbon emissions. They work with us to explore what the possibilities are now and in the future. And with good reason, given that a 20 MW data center with power utilization effectiveness (PUE) of 1.5 and electric rate of 13 cents a kWh will use $30 million a year in electricity. But you see many Internet giants claiming PUE’s well below that – 1.1 or even less (with PUE, lower is better). To gain such efficiencies, they constantly challenge us to come up with new designs, tools and practices. In this post I want to offer a few examples. Facebook has made great strides in the area of efficiency with economizers, or free air conditioning. We covered what the company has done in its Prineville, Or data center and it remains a great example of what can be accomplished with economizers. As our previous post points out, Facebook has also been at the forefront of the Open Compute Project, where industry leaders collaborate and publicly post the specifications for the physical infrastructure and the IT equipment including their custom, stripped down servers that save energy and ease maintenance. Other Internet giants are seeking alternate ways to achieve greater efficiency and power redundancy beyond relying on traditional UPS systems. Some are removing UPS systems entirely while achieving redundancy in other ways, such as utilizing redundant utility power from separate utility sources and substations. One feed may be protected with a UPS while the other is not; instead, the second utility feed provides backup. This is the newest trend that actually delivers Tier III data center redundancy with much less of an efficiency penalty. Some giants are also moving medium-voltage power distribution architecture closer to the IT load within their data centers, another topic we discussed in a previous post. As that post explains, because medium voltage lines have far more power capacity, it can mean you’ll use fewer and/or smaller wires, cables and buses to deliver power within the data center. That saves lots of money on copper while reducing complexity. Efficiency is raised due to lower current and resulting heat losses. In many cases, Internet giants are introducing greater resiliency in software and applications. Virtualization technology with application portability plays a big role in that, making it easy for companies to survive a failed server without suffering application downtime. To deliver reliable virtualization, you need real time and accurate information from the physical infrastructure, because moving virtual servers around without knowing if the physical server can power or cool them is very risky. Schneider Electric’s StruxureWare solution is great at providing just that sort of data. Our collaboration with Internet giants heavily influences much of our research and development efforts. They challenge us, just as we challenge ourselves, to come up with the next wave of efficiency and performance solutions. Our new prefabricated modular designs on skids, for example, is a result of this collaboration, a topic I addressed in my last post. Internet giants were among the first to embrace prefabricated, modular data center modules, which enable them to quickly add more capacity as needed while offering predictable performance and efficiency. Just like Formula One proves out technologies for cars, our collaboration with Internet giants “drives” data centers to be more efficient and better for the environment.